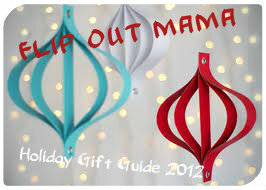 Flip Out Mama: Hot Gift: Custom Laptop Decals! Okay, I know it sounds stupid but sometimes, I have a harder time with stocking stuffers than with actual gifts. I put a lot of thought into the gifts that I give people,and I want stocking stuffers to reflect that as well, and not just look like something stupid I picked up at the checkout lane. So, when I found some awesome laptop decals from JamesDupree's Etsy Shop, I knew these would make great stocking stuffers! First of all, stocking stuffers have to be affordable.. Check! These awesome laptop decals are all only $10 OR LESS!! You can't beat that for a personalized gift that you know the recipient is really going to enjoy! This is the one that I got to review, except in yellow. For those of you who don't know (sigh... you really should know... ), it is a reference to what else, Breaking Bad, the best TV show in the history of TV shows. My decal arrived super fast, and I put it on in less than a minute, so easy! It looks great, and it has held up perfectly! I love, love love the idea of laptop decals as stocking stuffers, and this Etsy Shop has tons of great ones! Tater is getting a laptop for Christmas, (yes, he's six, shut up... ), and he would LOVE this Walking Dead decal! And just look at this awesome T-Rex! And I LOVE This one from Adventure Time too! See, it is possible to get a personal, unique stocking stuffer without breaking the bank! If you would like to check out these laptop decals, just click here!